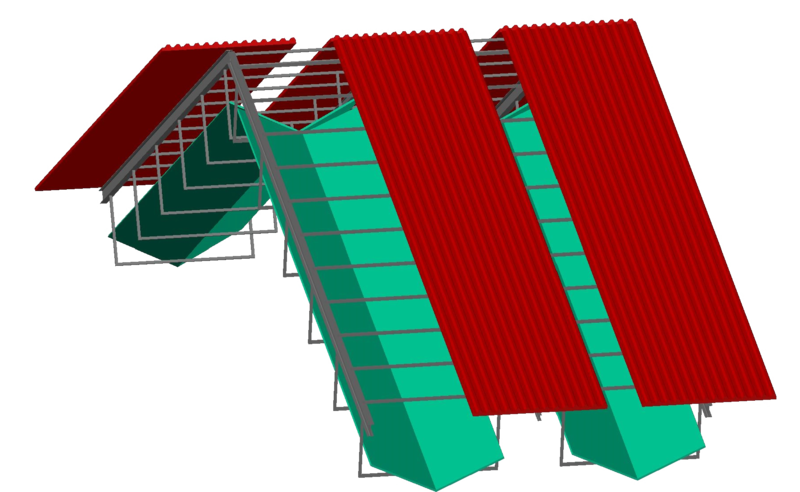 Windoo is a cover with openings placed along the roof, below which are placed canals for the collection of atmospheric agents (such as rain). 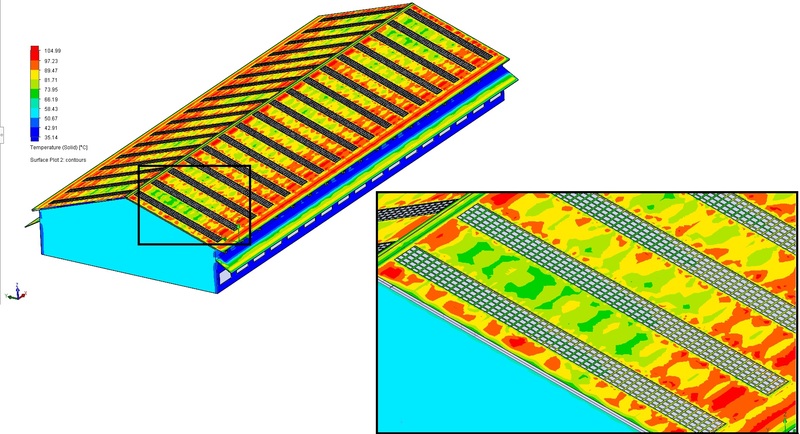 We have verified its functioning through computer simulations (for more in-depth, see CFD), obtaining surprising results. 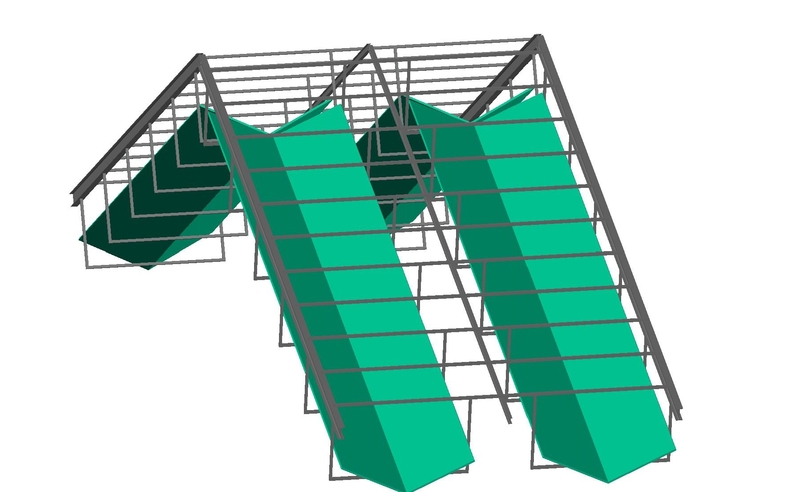 A grille on the openings was considered to support the weight of the snow, thus allowing a reduction of the underlying canals required, consequently lowering construction costs. 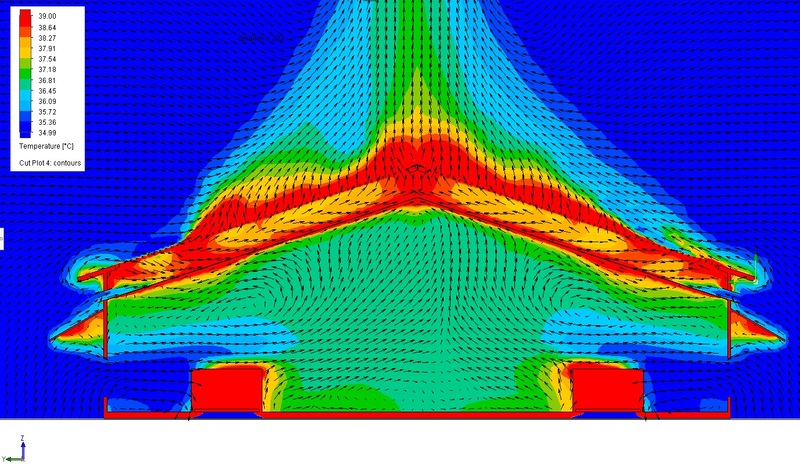 Below are some images of WINDOO functioning simulation with the grid and without wind. 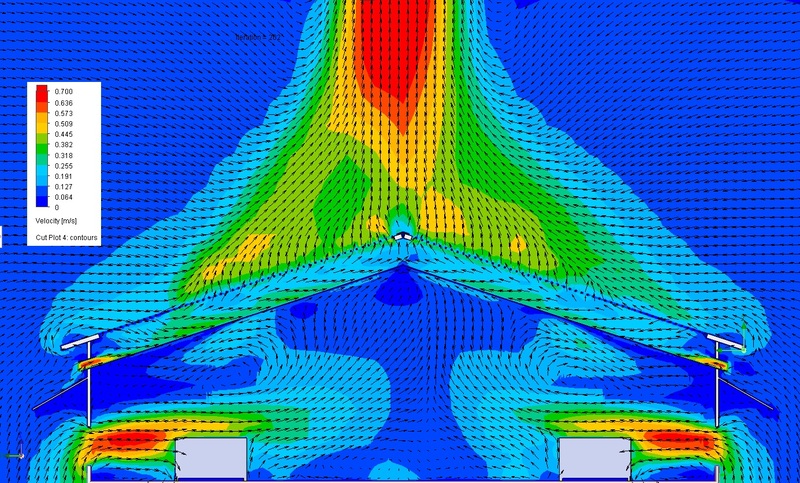 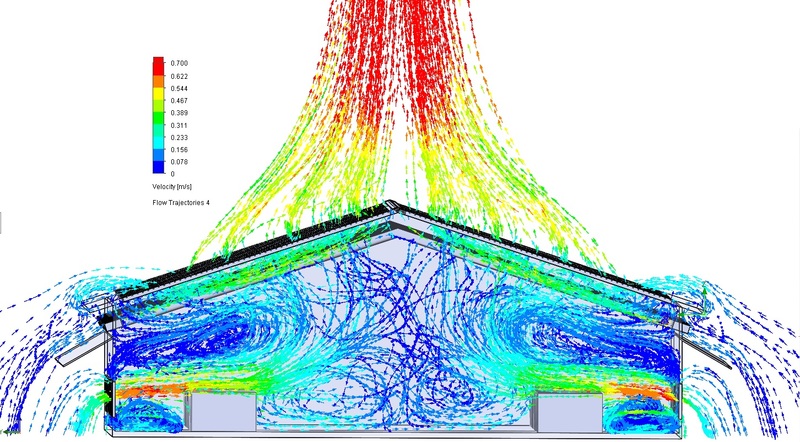 Compared to the first simulation contained in the Computational Fluid Dynamics (CFD) analysis, it is evident how the grid allows a greater outbound air flow distribution without any pressure drop. 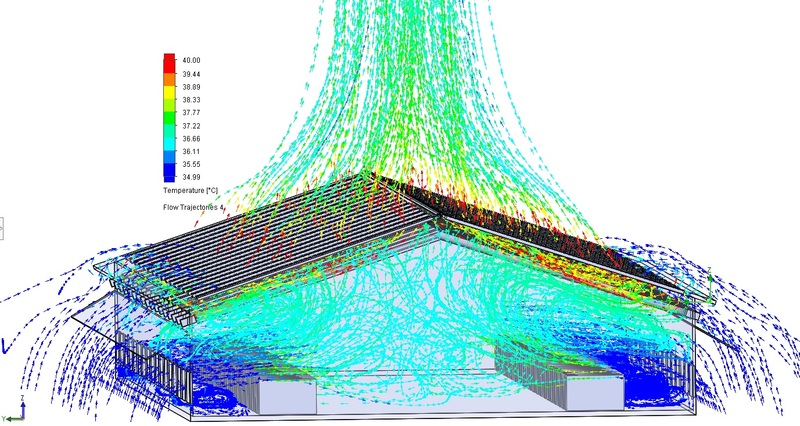 WINDOO is a roofing system based on natural ventilation. 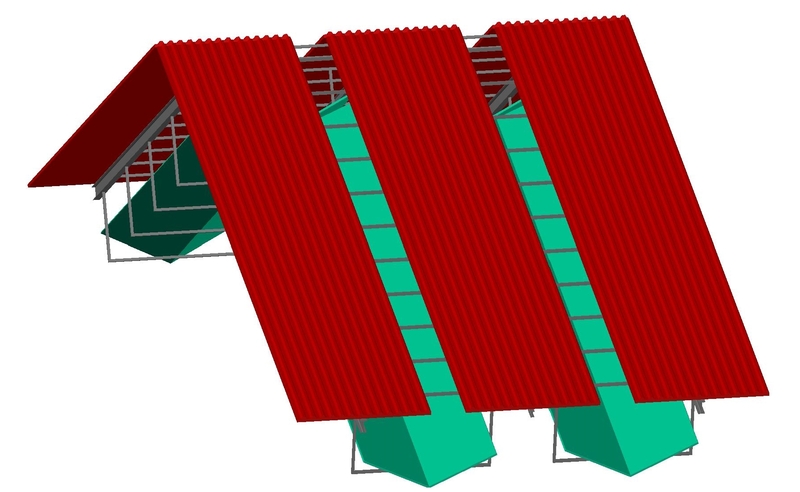 An animal that eats and moves around, as well as a worker or a working machine, warm the air in the immediate vicinity. A traditional cover would block the hot air and the harmful substances contained within, generating an unhealthy atmosphere, with a consequent increase in temperature and humidity. 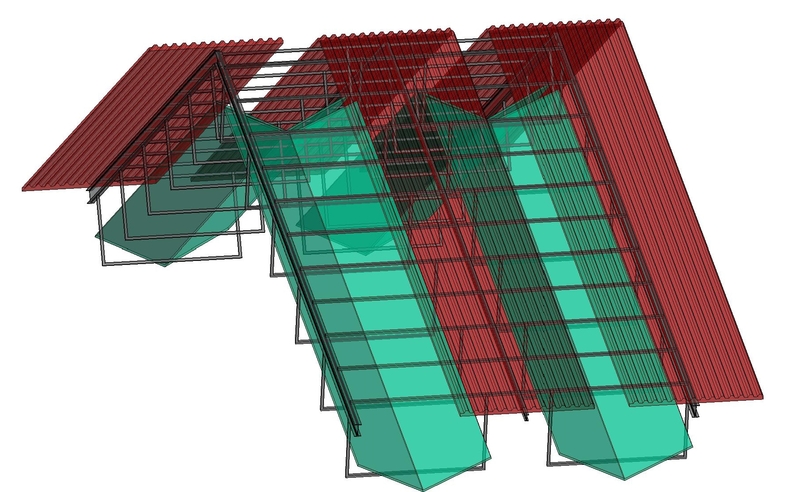 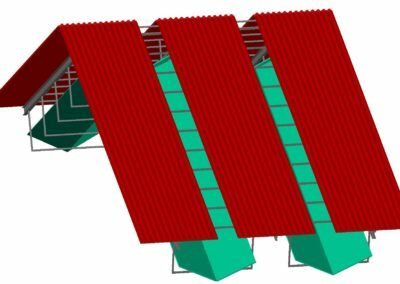 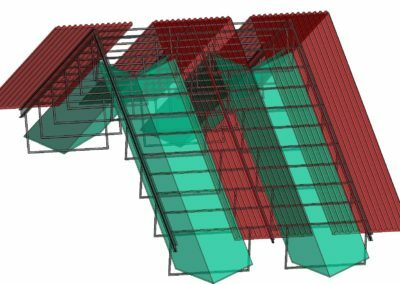 WINDOO instead, using the combination of chimney effect and convection process, allows the exhausted air to escape through special openings (over 30% of the roof surface against 8% of a traditional barn), thus avoiding the increase of temperature, humidity and harmful gases inside the building. 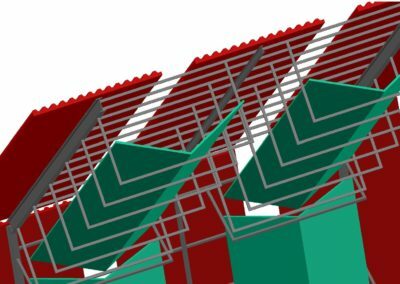 Di seguito le immagini della CFD di Windoo con la griglia. 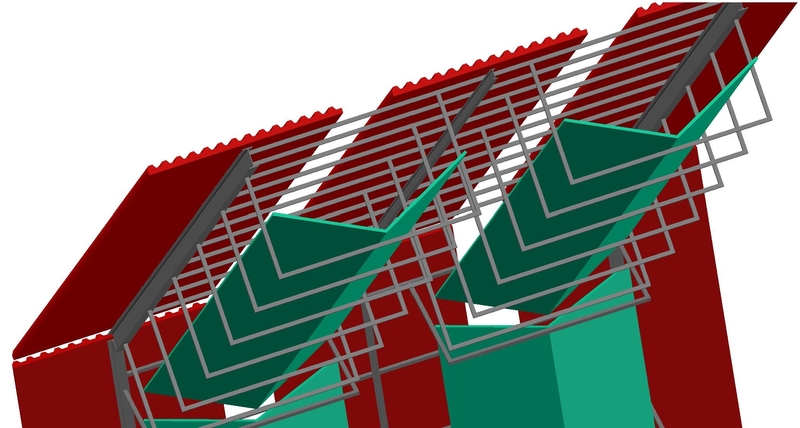 We have obtained WINDOO’s patent recognition at the international level.